Ball mill is applied for grinding various ore and other materials, which is widely used in the fields of ore dressing, construction and chemical industry. There are two types of grinding including dry type and wet type. Ball mill is a device that grinds materials after being crushed. It is widely used in the fields of cement, silicate product, new building materials, refractory materials, chemical fertilizer, black non-ferrous metal ore dressing and glass ceramics production industry for the wet and dry grinding of various ore and other grindable materials. The materials are evenly and spirally fed into the first cabin of grinder trough the hollow shaft from the feeding device, in which there is ladder lining plate or ripple lining plate with different size of steel ball. The rotation of cylinder will generate the centrifugal force which will bring the steel ball to a certain height, and drop down to impact and grind the materials. After the coarse grinding in the first cabin, the materials go into the second cabin, in which there is flat lining plate and steel ball. The materials will be further ground and are discharged from grate. 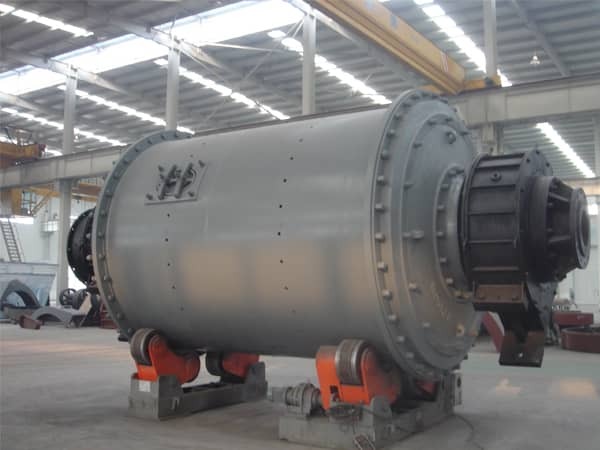 Ball mill consists of feed part, discharge part, rotation part, and drive part (reducer, small drive gear, motor, electric control part) etc. Hollow shaft is made of casting steel, the liner can be replaced, rotation wheel gear is made of casting gear hobbing, and drum liner is wear-resistance linings with good wear resistance.